This recipe makes two cocktails, however it could be easily adpated to cater for a larger party. The Muldoon Whiskey adds a lovely twist to the mulled Stonewell cider. This is a cocktail that is guaranteed to warm you up on those cold winter nights. Firstly, add one bottle of Stonewell Medium Dry cider and half a packet of mulled spices to a pot and bring it up to a light simmer for 15 minutes. Next prepare the toffee sauce; add the 50ml cream, 50ml golden syrup, 100g brown sugar and 100g of butter to another pot over a low heat, when it begins to simmer add 200ml Stonewell cider and lower hear cooking for 40 mins. Allow the sauce to cool slightly. Mix together the salt, brown sugar and the cinnamon on a plate. On another plate pour some of the toffee sauce prepared earlier onto a plate, ready for the cocktail glasses to be dipped in. Dip the cocktail glass into the toffee sauce and then into the cinnamon sugar mixture. 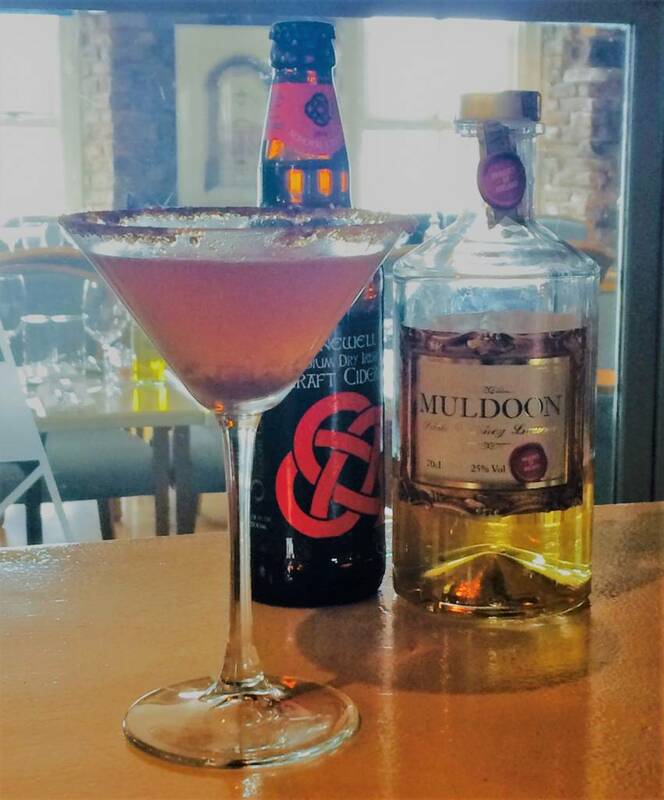 Add a shot of Muldoon whiskey to each glass and top up with the mulled Stonewell cider. Please tag us using #stonewellchristmas if you make this cocktail, we would love to see your creations.